Charismatic Claydon - one to watch! 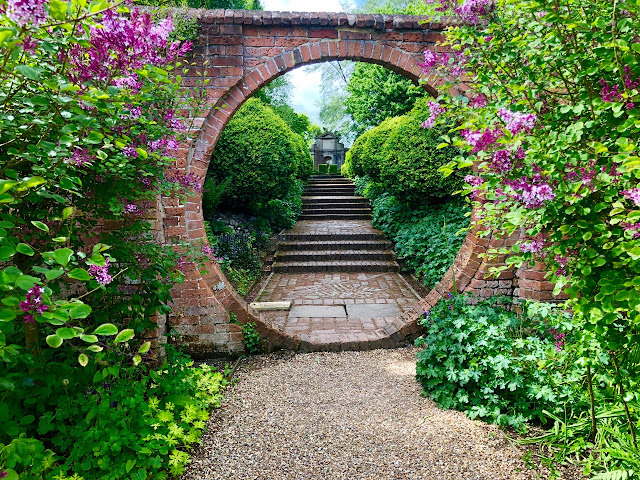 The garden at Claydon House in Buckinghamshire is definitely one to watch - it's one of the most vibrant I've visited this year, with much work in progress, but is quite charming - filled with nooks and crannies, roses and borders and some very unusual features, including a new Florence Nightingale garden. And there's a wonderful restaurant on site too - The Carriage House - where I enjoyed one of the best lunches that I remember. All food is cooked to order and on the day I visited, the sun was shining, so I was able to sit outside in the courtyard. Claydon House has been home to the Verney family since 1620 - it's a fine Georgian house with Rococo interiors - operated by the National Trust and publicised as one of its key corporate and wedding venues. 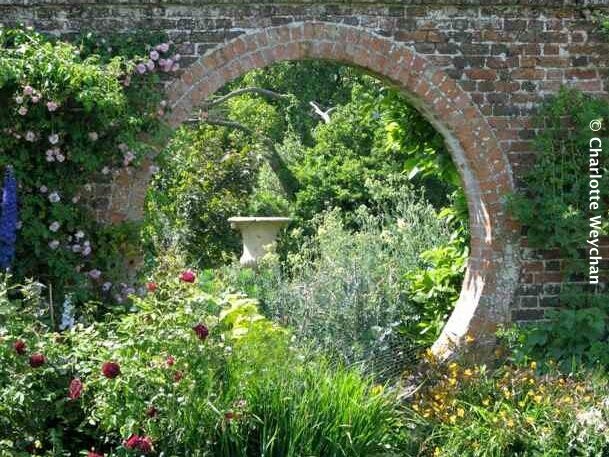 But the gardens are private and open from Saturday through to Wednesday (12.00-5.00 March - end of October) and are definitely worth making a detour for if you're in the area. 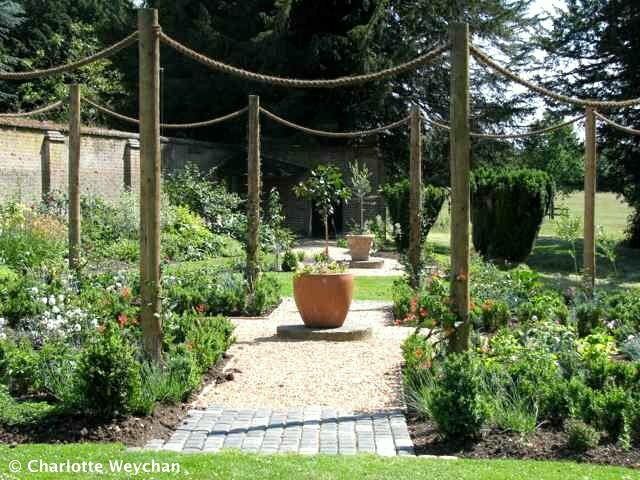 Set as it is in the heart of fine countryside, this is a great place to walk once you've toured the garden. 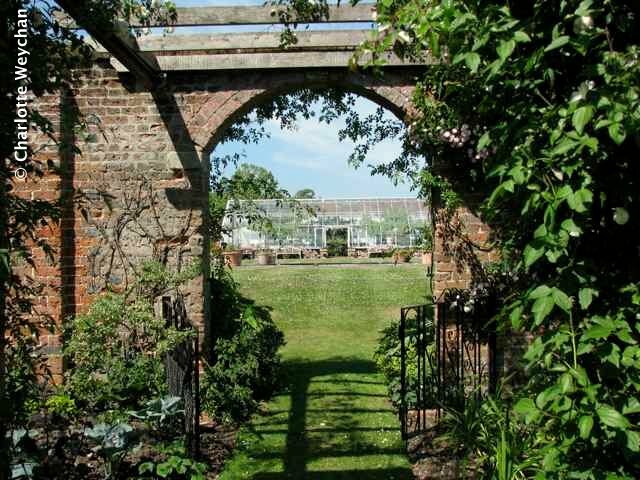 Highlights of Claydon include a wonderful two-acre walled kitchen garden, which supplies most of the produce for the restaurant; the new Florence Nightingale garden (above) which is currently under development, but promises to be a major feature in years to come; a rose garden created by the current Lady Verney; and a charming pool garden overlooked by a 19th century greenhouse. 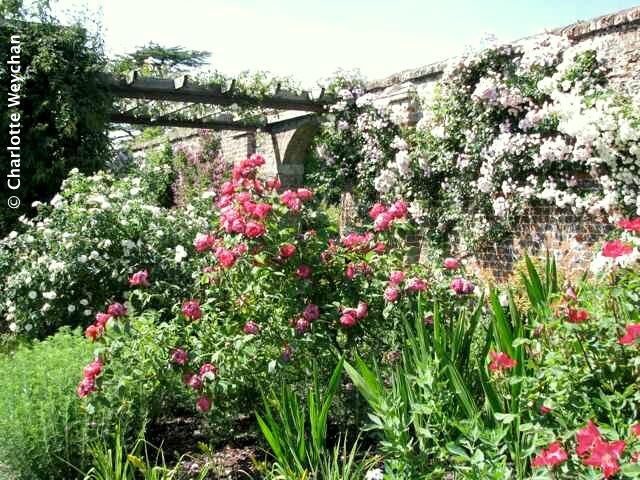 Walls and pergolas have been used to best advantage throughout the gardens to give shelter to plants and provide stunning colour displays like the one below. But there are also lovely borders, abundant blooms and a sense of excitement here that's hard to explain - this feels like a very new garden, even though it's been here for hundreds of years - and has a terrific sense of colour and style that makes it quite different to other properties I've visited in the last few months. 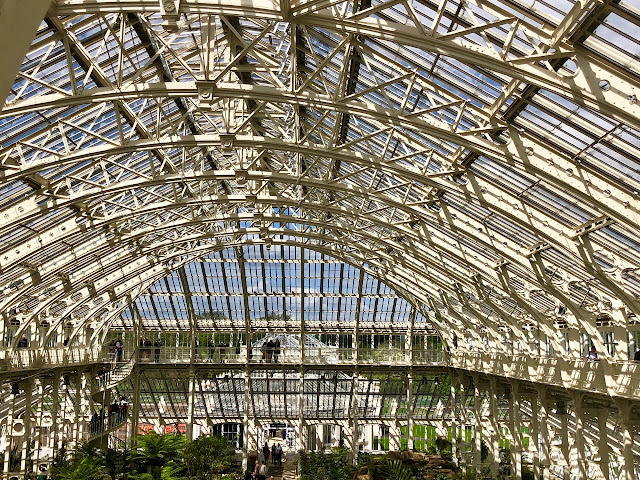 Definitely a garden to put on your "Wish List" and worth making a special visit to if you're planning to have lunch out with a friend. Ascott is just half an hour away (approximately 17 miles), so you could easily combine the two for a day to remember! Sounds enticing! Wish I lived close enough to visit. Positively gorgeous, Charlotte! The various entrances are so welcoming. I like the brick behind the soft blooms and the grassy walkways. So pretty! looks like a beautiful place. I love all the brick walls and entrances. If ever I'm in that part of the world, I'll take a visit. Your postings are always interesting, and very helpful in finding undiscovered places yet to visit. Thanks! 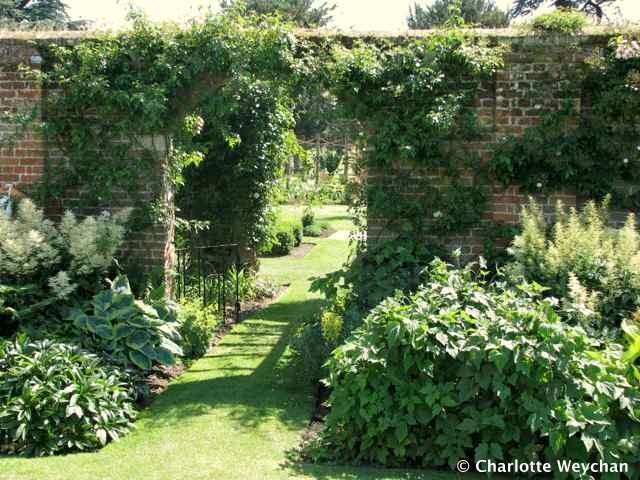 Charlotte, we went there a few years ago and I agree with you a fabulous garden. The area were the new Florence Nightingale garden is now was really lovely with lots of colour. But I think it was a lot of work as there was a lot of half-hardy plants, we went in September, I am sure the new design will be equally as lovely but I am glad I have seen the old one.